When Michael Cooke enrolled for his diploma course at the ICA in 2004, little did he know just what an amazing path his culinary journey would take. 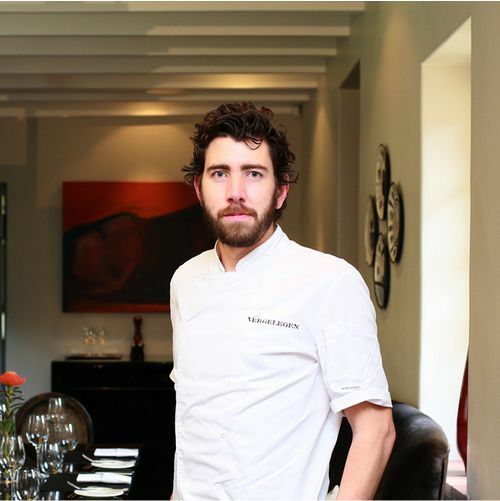 Paying tribute to the Institute of Culinary Arts for consistently delivering graduates of the highest standard, Michael shines as executive chef of Camphors Restaurant @ Vergelegen Estate, being nominated as one of South Africa’s top restaurants for the past 4 years running. The 2017 Eat Out Awards also saw Michael walking away with the Woolworths Sustainability Award, over and above his listing in 4th place on the Top 10, putting him at the very forefront of trending culinary practices. No wonder Michael has become a mentor in his own right, stating how much he admired hís mentor, Peter Tempelhoff, (Executive Chef of Greenhouse Restaurant, ICA Graduate 1997) and his influence in his career. Therefore, this year the ICA is proud to incorporate Michael’s style and vision as inspiration for the current 3rd year students in preparation for their final examinations on 21 and 29 November. To follow in the footsteps of these great chefs, enrol now to study at the Institute of Culinary Arts – internationally rated as the best in the whole of Africa and one of the 3 best chef schools in the world.